I made this for my sister in law’s birthday. It tasted like a cross between a brownie and fudge. Chop the chocolate into small pieces. Combine chocolate with butter in the top of a double boiler, over simmering water. Stir frequently until melted and smooth. Remove from heat. Let glaze cool slightly before spreading over the torte. Chill overnight. 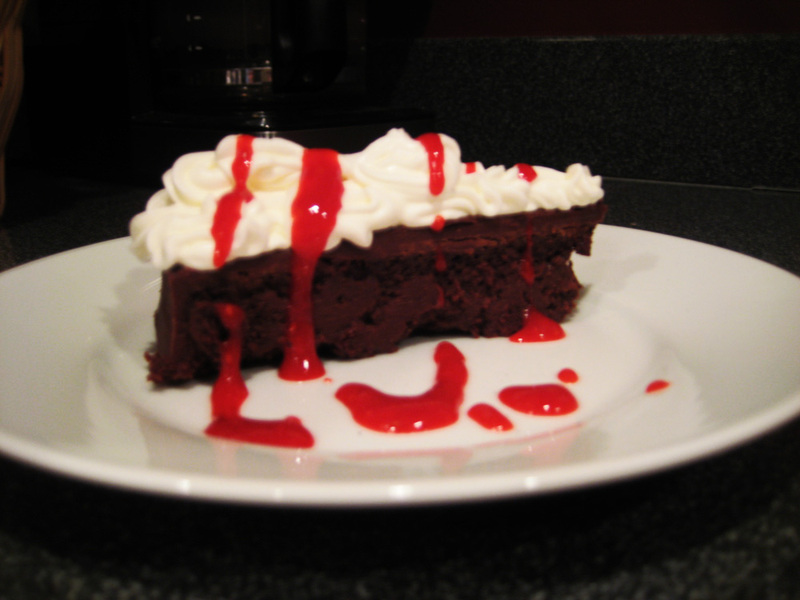 Top with raspberry puree (blended raspberries (frozen & thawed are fine) and sugar) and fresh homemade whipped cream.